The Stratus 4 Tree is four feet standard height, which makes the jump from level to level twelve inches, which is best if jumping up and down is an issue. The five foot model has a fifteen inch jump-up. The standard tree has one small, one medium and two large dishes, which can be upgraded to two leaves, small flowers or large flowers. The two upper levels can have clamshells. Note that the levels spin on and off. If you have, for example, one flower or clamshell on the top, it can be switched with the second level. 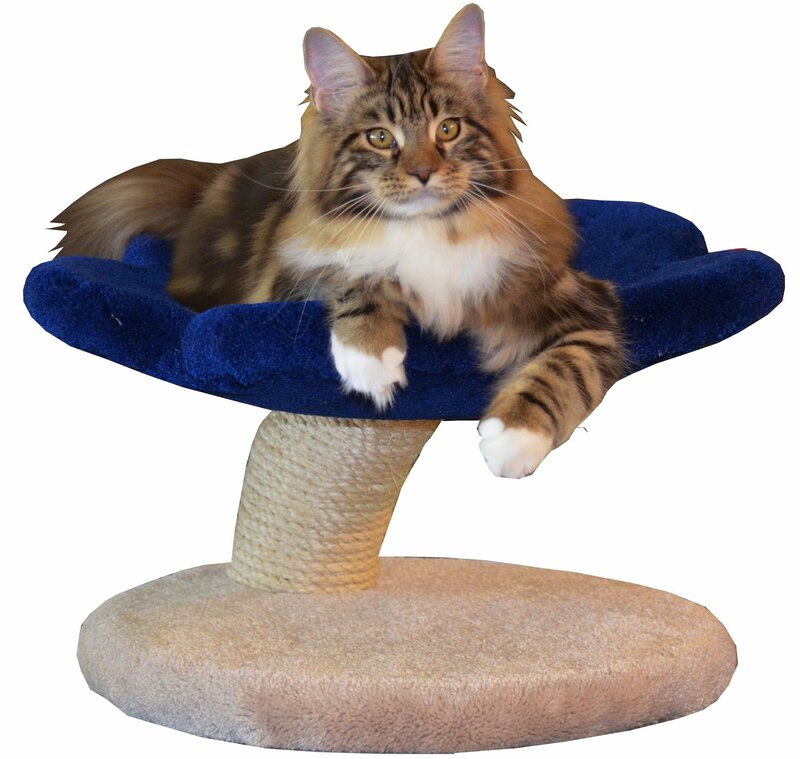 If you have the clamshell on the lower level, the "roof" will be close to the same height as the top platform and the cats can play together easily. Having a clamshell on the top level will add ten inches to the height of the tree. Large Level - you may choose dish, leaf, small flower or large flower.